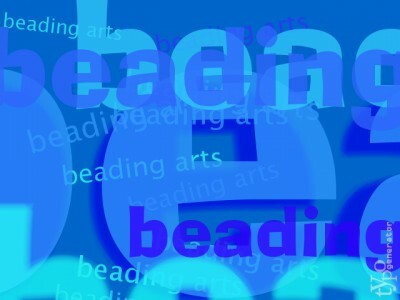 Did you know that the Beading Arts blog is available for your Kindle? Unfortunately, it's not free (Amazon sets the price), but it's only 99¢ a month. Is technology great, or what? Well, someone did! Can you even imagine...? Do you know Irina Miech's work from Bead&Button magazine? 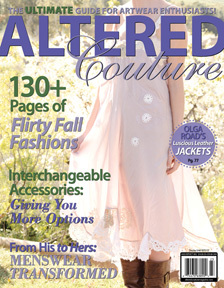 If so, I know you'll be anxious to see her new book Classic Style - Fresh Look. Using only simple stringing and basic wire work, Irina shows you 30 classically styled projects along with 30 more up-to-date variations...60 projects in all! How fun! This is a great book if you're feeling a bit stuck. Irina keeps emphasizing adaptability...taking a traditional design and technique, and tweaking them in a way that will allow endless variations, modernizing the look. Most of the the techniques are really so basic that you'll need no instructions. But fear not if you're a beginner. This is a Kalmbach book, so you can expect to see clearly rendered instructions for the few things you may not know. 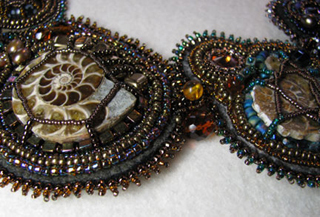 My personal favorites are the updates that Irina does with multi-strand necklaces. Very very cool. 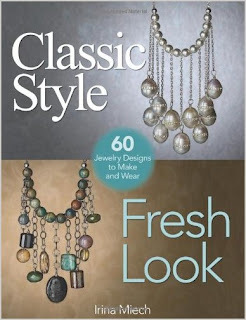 Would you like to win a copy of Classic Style - Fresh Look? Just leave me a comment below and you'll automatically be entered to win. If you tweet or post on Facebook or other social spots about the contest, you can leave a second comment and be entered twice! Please make sure that your link will lead me to an email address, or else I won't be able to contact you. No contact, no win, and I simply have to go on to the next person. Deadline: December 4, 2012. What to say? 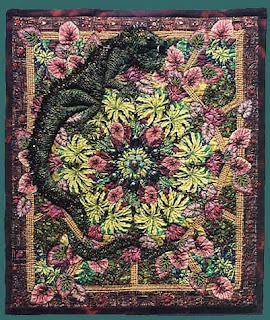 You all know that I am primarily a bead embroiderer, so I'm bound to get excited anytime a new bead embroidery book comes out. 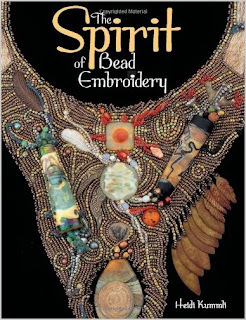 This time is certainly no different, and I waited for Heidi Kummli's new book, The Spirit of Bead Embroidery with a decided lack of patience. I feel that my wait has been amply rewarded with beautiful images, inspiring stories, and even a few new ideas that I feel will enhance my work. There is good instruction, beautiful projects, and an amazing gallery of work. 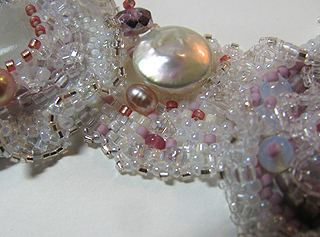 There is even some instruction on loom weaving, and how to integrate that into your work. The instructions are thorough, but not so rigid that you would be unable to make substitutions in materials. In fact, Heidi readily encourages that, so the piece you make will be truly your own. My caveat is that some readers may not feel as inspired as Heidi does by Native American beliefs. 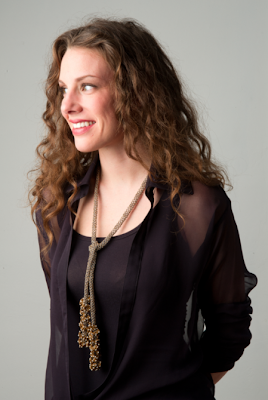 Her heritage is her influence, and this book is Heidi's exploration of how it guides her work. There is a section on animal totems and the stones, colors, etc that are associated with them. Another chapter covers healing stones and colors, and another focuses on the four elements and the stones and colors associated with them. While it's interesting to me, it's not a worldview I share, so very little of this information will make its way into my pieces. 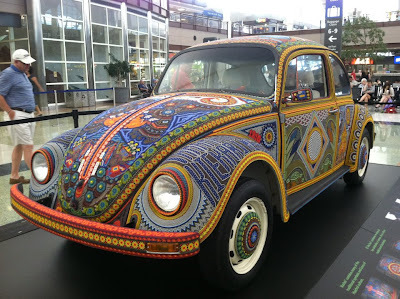 However, it is interesting, and the beadwork that Heidi shares as examples is just exquisite. 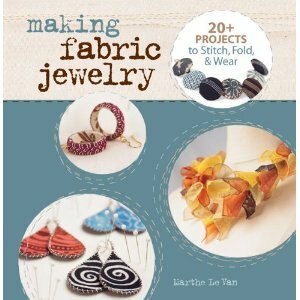 So of course I recommend the book for its inspiring beauty and embroidery information. Whether or not you recommend it to yourself for its spiritual inspiration is up to you. The same can be said of any book that focuses on inspiration, right? 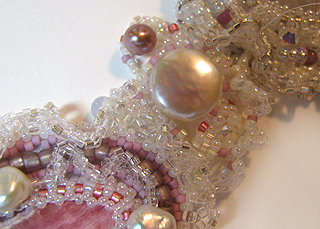 I have always been crazy about beaded ropes, because I think they're such a great way to feature a special focal bead without overwhelming it. But even though I've always loved them, I've never really gone beyond some very simple twisted spirals, tubular peyote, and right-angle weave variations. That's all about to change, because Jill Wiseman's Beautiful Beaded Ropes has now got me thinking about tubular netting and herringbone, which I have not played with beyond just making a few samples to see how it's done. I love the way this book is organized. 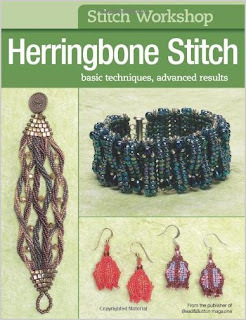 All the stitches and basic techniques are introduced in the first chapter, and then Jill moves on to dedicate a chapter to each stitch, more or less in the order of difficulty: spiral, peyote, netted, herringbone, RAW, and ending with a special bonus. The last chapter features a few stitches that are much less common, and are very very cool looking: Oglala stitch (butterfly stitch), chevron stitch, and a complex variation on peyote. All good stuff. The projects are beautiful. 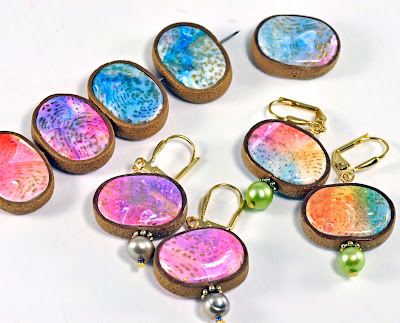 I've found several that I really want to try, and you know that when someone like me who is primarily a bead embroiderer says that, I'm really hooked! Lark Publications is responsible for this gorgeous book, and if you'd like to try before you buy, Lark has made that possible. 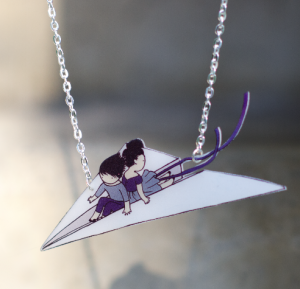 There are two projects available at each of two links! 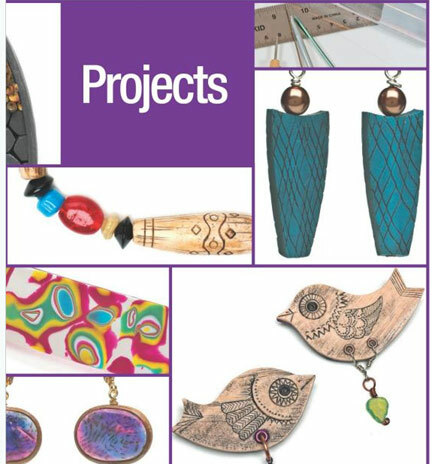 Four free projects in all! 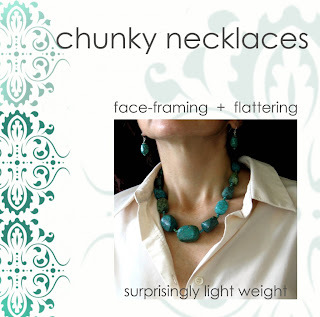 Have you ever see similarities in jewelry pieces now and from days gone by? Love when that happens! 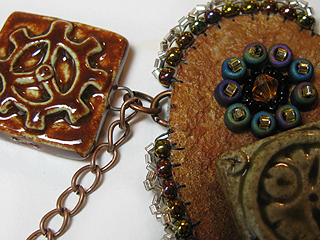 Re-purpose a vintage pin into a pendant for a new necklace that has a vintage look. 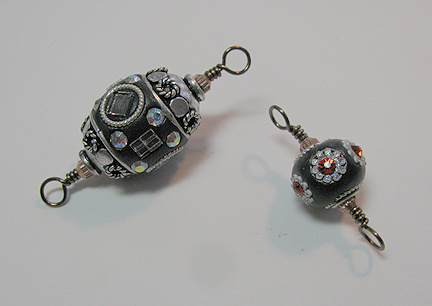 November's Art Bead Scene challenge is a graphic illustration by MC Escher, bound to inspire wintery jewelry designs. 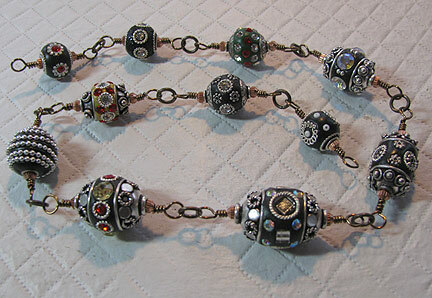 Jean discusses her great love of Basha Beads! 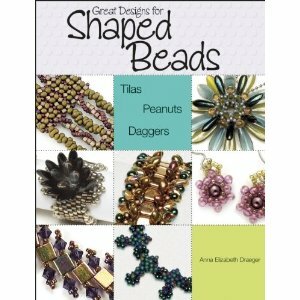 Anna Elizabeth Draeger has already written one totally stunning book (Crystal Brilliance), so it should come as no surprise that her newest, Great Designs for Shaped Beads is...well, great! 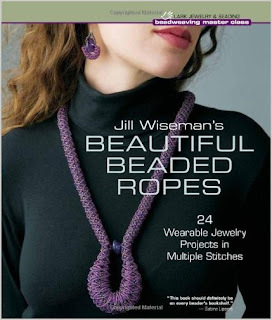 Anna is a beadweaver, so she writes wonderful books for beadweavers who want to move ahead with their designs. There is a short introduction which shows examples of many of the new shapes: tilas, daggers, peanuts, lentils, drops, and berries. 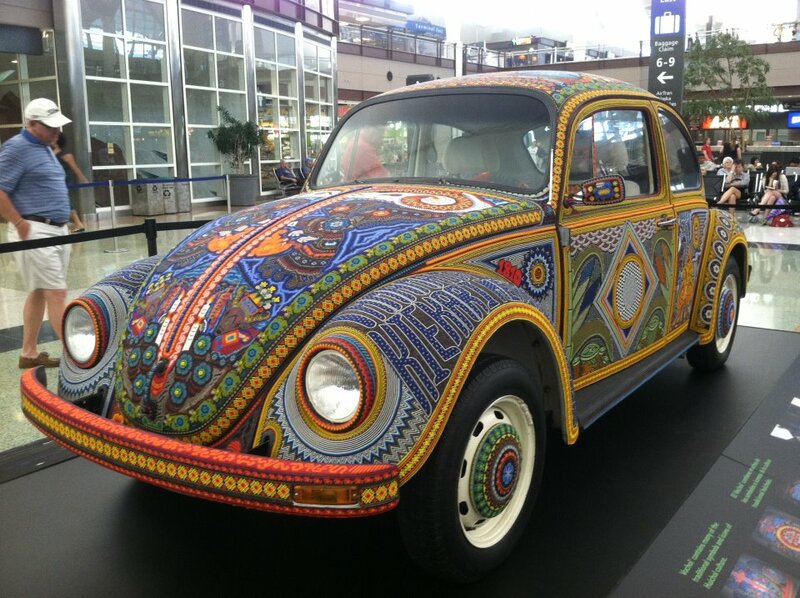 What I really appreciate is the information about how some of the beads differ depending upon country of origin. Then it's straight into the projects! And what a great group of projects they are. Anna breaks it down into Tiles and Tilas, Peanuts and Berries, Daggers and Drops, and Creative Combinations. 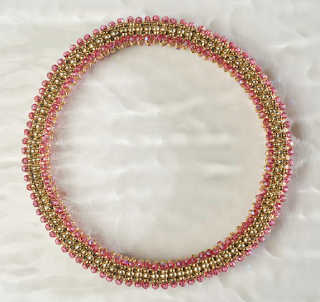 This last chapter is especially enticing, with six projects that combine the shaped beads in really fun ways. As with all Kalmbach books, there is a section which reviews all the basic stitches and techniques for you. The payoff with this book is, though, that you've never seen the stitches looking quite like this before! 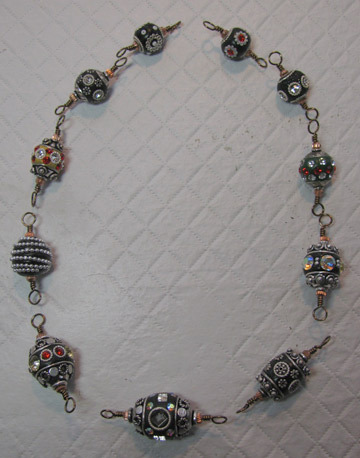 The new shapes of beads will inspire you to pick up that needle and try stitches that perhaps you previously thought you were tired of. 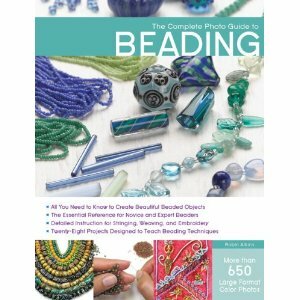 I don't think this is the first beadweaving book that you should buy, since the skill level looks to be more on the order of intermediate. However, a highly motivated novice beadweaver could follow the instructions and clear illustrations with very little difficulty, so I'd have to say that this is a book that many levels will enjoy. There are also lots of tips given for changing it up a bit, so the 24 projects easily become many many more. 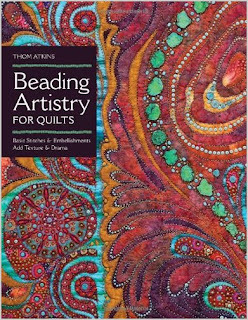 I think that all the beadweavers out there will really appreciate this book. 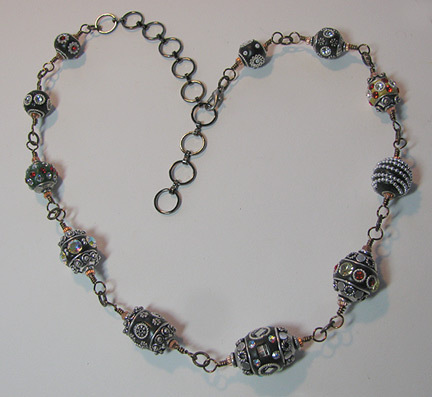 Bead Soup is Lori Anderson's new book, sharing 32 fabulous projects of her own and by other participants in the swap. 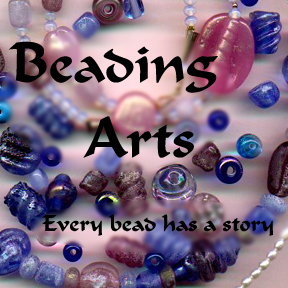 Kalmbach Publishing calls Bead Soup a "recipe for success!" and they are completely right. The recipes, I mean instructions, are easy to follow and allow for lots of substitutions. Just as in cooking, you might not always have the exact ingredient on hand, and it's nice to know that you're being encouraged to make these projects your own. Lori has arranged the book into four chapters, each based upon the method used to create the projects. 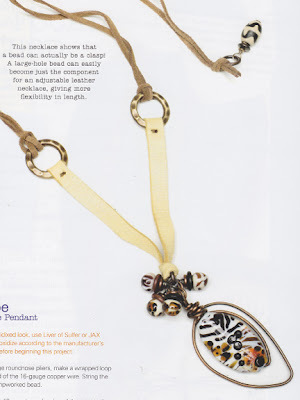 While I loved the two chapters on how to use random beads, and the chapter on working in a color palette, I really fell totally in love with the chapter on creating a necklace around a special focal bead. Don't we all have issues with that from time to time? 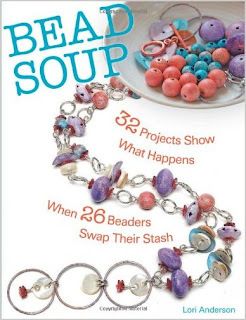 If you have been a part of a Bead Soup swap with Lori's group, or perhaps even more so if you have not, you will enjoy Lori's lighthearted humor and warm writing style in this book. And of course, you will love the projects! 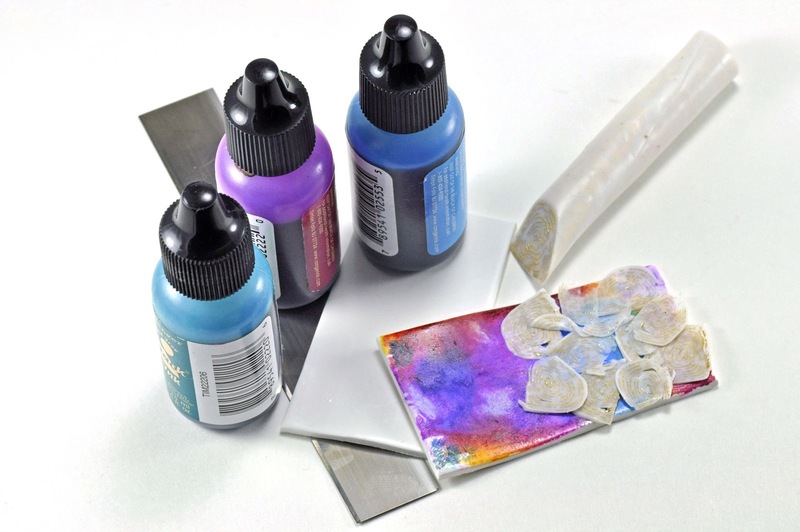 I have seen a lot of books on working with polymer clay, and I've even been asked to create a few beginner projects myself (scary thought! 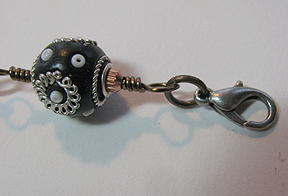 ), so you'll have to pardon me for telling you about yet another polymer clay guide. THIS IS THE ONE YOU NEED! 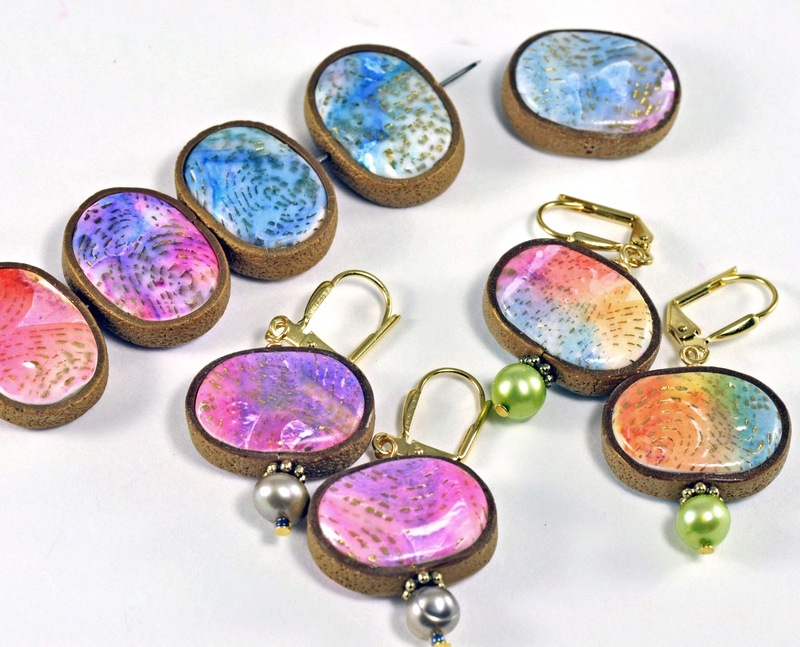 Lori Wilkes has written Working With Polymer Clay as an entry into the popular The Absolute Beginners Guide series by Kalmbach Books. Yes, folks, it is a winner. 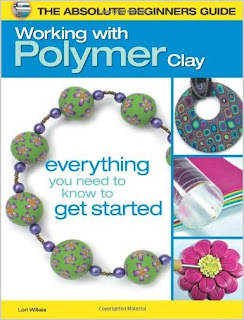 So many of the polymer clay books look alike. You'll see pretty much the same techniques, advice, and even styles. Not so with this book. Plus, what you almost never get are projects of this quality. 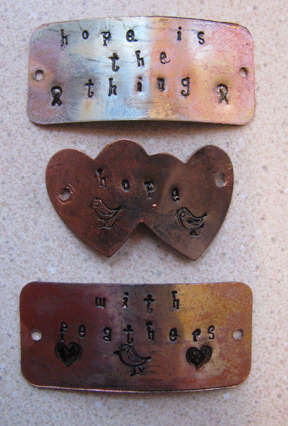 If you need to be convinced, just spend some time looking through Lori's websites: Millori and Lori Wilkes on Etsy. see a larger version of this on Lori's website. Oh yeah...this is definitely someone that I want to learn clay from. Just because the techniques are for beginners doesn't have to mean that the projects are same old same old. Trust me, I know about that, because basic and same old is all I can do! 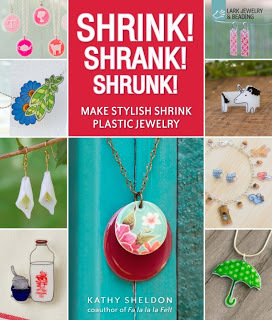 I'm so happy to find a polymer clay book that has such beautiful beginner projects that I might just be persuaded to dig out my clay and try again! 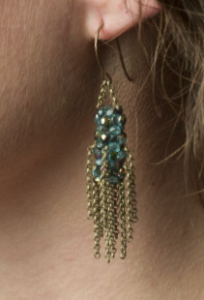 One of my favorite styles, which Lori was kind enough to send me pictures of, is the transparent jelly roll cane earrings. 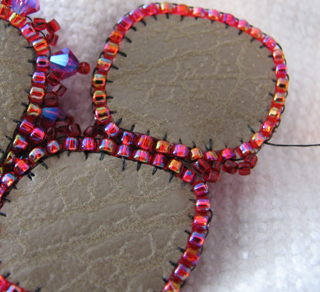 I don't want to make earrings...I want a whole batch of cabochons for my bead embroidery! My apologies for posting this after Breast Cancer Awareness Month is over, but better late than not at all, I hope! This project is dedicated to the women and men that I personally know who have been affected by cancer. And in addition it is dedicated to all those whom I don't personally know. You are all in my heart. 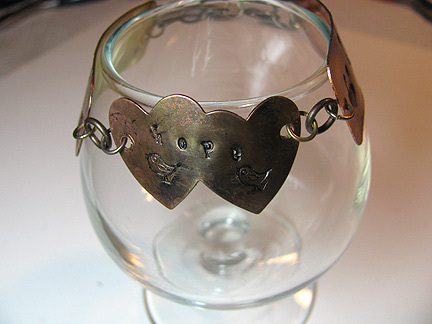 Most of the materials and tools for my Hope bracelet came from ImpressArt, and you can read about them at the link above. 1. 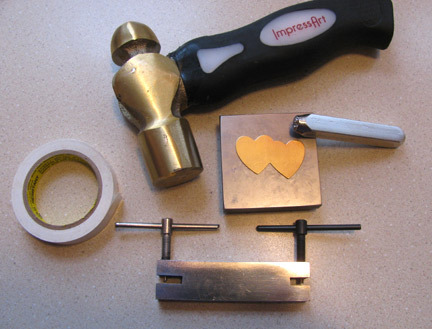 Use a metal hole punch to add holes to any of the blanks that don't already have them. 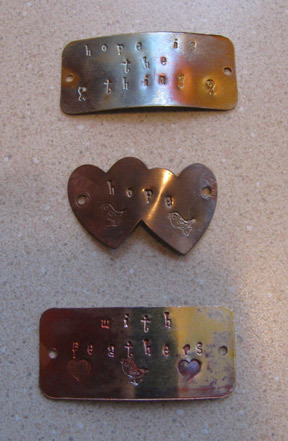 Use the alphabet and decorative stamps to add your message to the blanks. Use the positioning tape to mark where each letter or symbol should go. 2. Treat each blank with fire if desired to bring out some interesting colors. This heat treatment will also soften the metal a bit and make it easier to gently bend the pieces to better fit around your wrist. 3. Use a very fine black marker to darken the symbols and letters. 4. 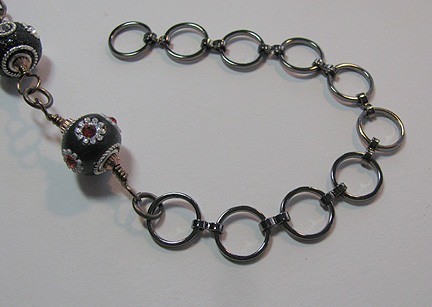 Use jump rings to attach the blanks together and to the chain. 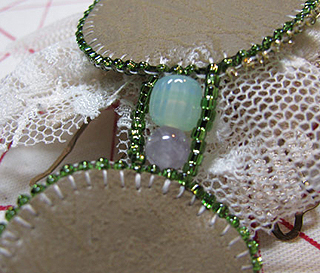 Use another jump ring to attach the clasp. As regards FTC disclosure guidelines: I have received tools and materials free of charge from ImpressArt in order to write a review and/or create a project free of charge for you. I have not been paid for my endorsement as it pertains to the products received. Chapter Three of Some Assembly Required is ready to go, and the chapter title is Bridging the Gap! 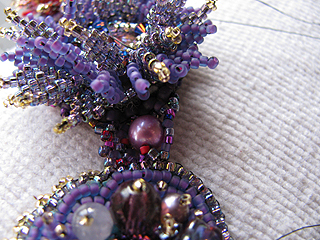 If you've been following along with this project, you know that I've been writing about how to create a bead embroidered necklace out of smaller components, as opposed to the large solidly beaded collars that many of us learned to make. Well, we've finally gotten to the point in the journey where we have to start doing something with these gorgeous components! Enter, Bridging the Gap. In this 66 page chapter, you'll learn five different methods for creating bridges between components to hook them all together, each of which includes multiple variations. In addition, I decided that you might like to have some techniques for creating even more dimensional texture on your bridges, similar to the texture we added to the components in Chapter Two. While you will not want to add this extra texture to every necklace, when it is appropriate, it can help to unify your piece across all the components and bridges. You can see information on both of my e-books at this link, or visit this direct link if you already know you want a copy!